We all know the proverb, “Teamwork makes the dream work” and nowhere is this more crucial than within an engineering team. We know it. You know it. At the same, we understand that awful feeling of being stuck in one place. Maybe that’s why you’re here, reading this. That feeling doesn’t have to mean that you don’t like your job or your team members. Maybe they are the reason you’re still there. We understand that as well. That’s why we’re offering you a chance to bring your own team to Symphony. Listen up! The whole idea is really simple. Do you have your own all-star team you enjoy working with, a group of friends with whom you enjoy exchanging ideas, opinions and sometimes you have a feeling that they understand you better than your family? Read on. The good thing is that we have a place for all of you here at Symphony and the amazing thing is that you can do your transfer of the year at this moment. How? Just continue reading. Our community in Sarajevo is now on the lookout for great Java developer teams. So, if every one of you wants to make a step up in your career, but you want to bring your valuable team with you, or for the first time in your life, start working with your friends, we’ll be happy to talk to you. What do we want you ask? 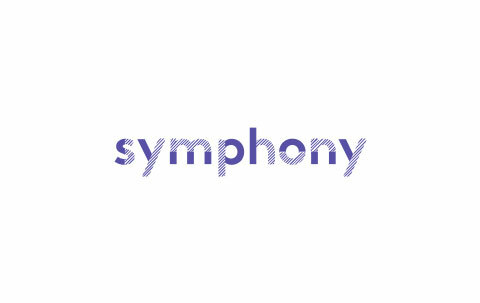 We want one more great team here at Symphony! You are all highly passionate about cracking the toughest challenges in tech? For you, engineering is not a job, it is a life passion? You understand design patterns and their implementation in real life coding problems and you always strive to provide the best, but really the best practice solutions? You are an enterprise distributed systems developers with strong experience in Java, Big Data, Hadoop, and large scale processing systems, relational databases, SQL or even NoSQL databases? Great, hurry up, your coffee at Symphony is already served. You will have a chance to work with one of the best people there is on some of the most challenging projects there are. How else would we develop such great solutions in various fields such as augmented reality, biotechnology, machine learning and much more. You will get an office with an impressive and fully equipped work zone. It also has a comfy fun zone, tasty&healthy food, playrooms and more. And we are fully aware of how flexibility can boost your productivity, no worries. Want to find out more before applying? You can always drop by for a cup of coffee/tea and a warm tech chat with our Enis.